I am so glad that the winter break is over and my kiddos are back to school. Please, don’t get me wrong. I enjoy my kids around me, but having them for 24 hrs a day for 2 weeks was not always filled with joyous moments. Mothers do need a break. Don’t you think? We had some snow a few days ago and I comfortably stayed inside while kids are having their time with neighborhood kids outside. I baked some bread to serve as lunch for my kids. I will call it Twisty Sausage Bread. You will find this kind of bread easily in many Asian bakeries under the name of “sausage buns” or “hotdog buns”, etc. They might have different shapes but they are all pretty similar in taste. The idea is basically a pig in a blanket but made into fancy-schmancy twisty pig in a fluffy duvet cover. I wonder if that makes any sense at all. 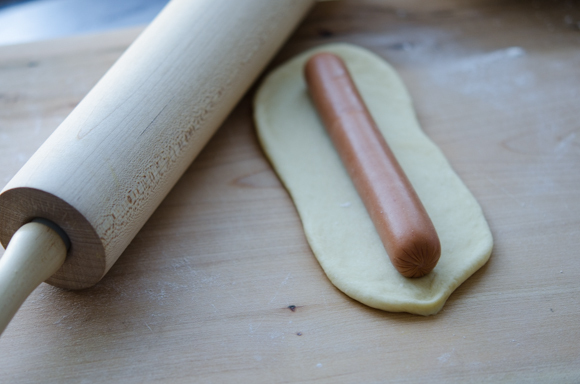 You can use precooked chicken sausage if you prefer not to use hotdogs. Whatever you use, it’s all about shaping and having fun. They are great to taste and perfect to put in lunch box as well. So, let’s get to work and make our hotdogs proud. 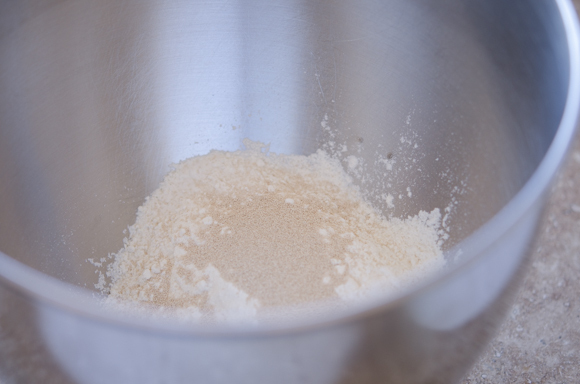 In a mixing bowl, combine 1 cup of flour, sugar, salt, and instant yeast. 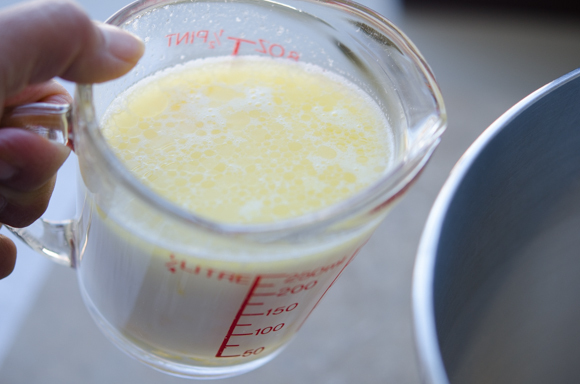 In a mixing cup, mix warmed milk, water, egg, and melted butter. Pour the liquid into the mixing bowl. Stir all together. 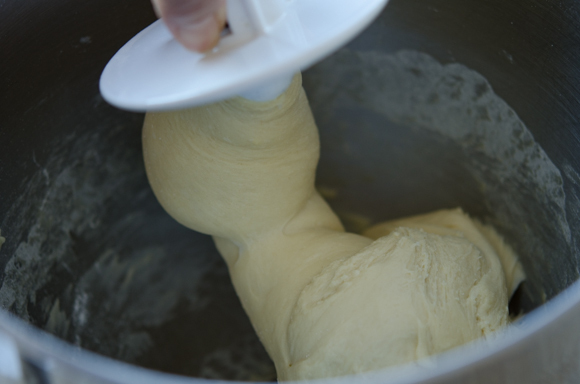 use your handy-dandy mixer with a dough hook to do the job. The dough will be somewhat sticky just like any dinner roll dough. 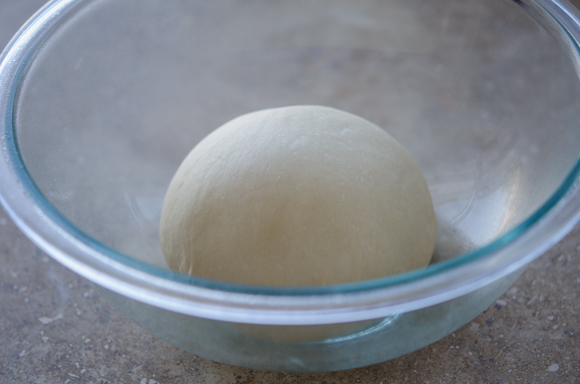 Form the dough into a ball shape and place in a greased bowl. Cover and close your eyes. Abracadabra…!! Look, the dough got doubled in volume. No matter how hard you try, your Abracadabra won’t work instantly. 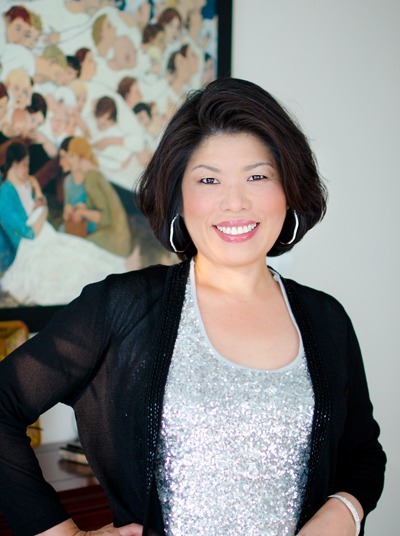 Give yourself a good 45-60 minutes in a warm room temperature. 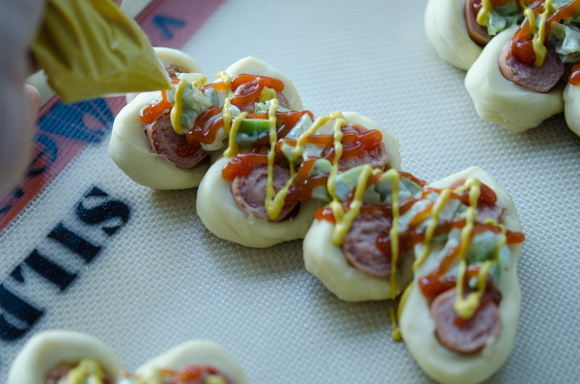 Roll out each piece of dough just big enough to cover the hotdog. 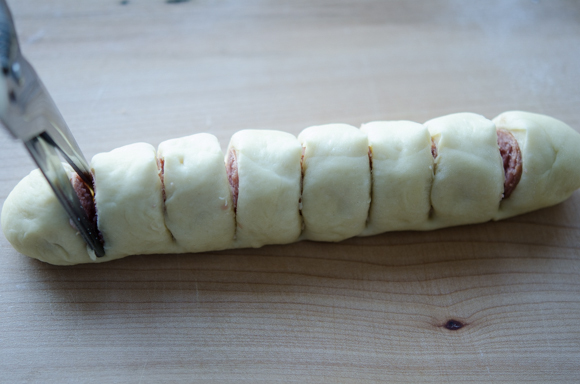 Wrap the dough around the hotdog, pinching the seam to seal the edge. Twist the each segment by pushing into opposite direction from each other. The intact bottom dough will hold everything together. Got it? Carefully transfer the dough on to the baking sheet lined with baking mat or parchment paper. Let them rest for 15-20 minutes. Meanwhile saute chopped onion and green pepper seasoning with a pinch salt and pepper. It is my divine duty to feed my kids vegetable in any possible way. You can skip this part if you only want leave your pig in a blanket solitary. 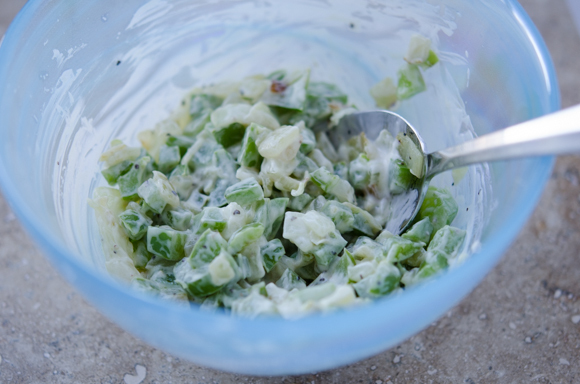 Mix the vegetable with a little bit of mayonnaise. I forgot to brush with egg wash around the dough at this stage. I am letting you know so that you don’t forget. Squirt some ketchup and mustard on top in anyway you like. Bake these piggies in 400 degree oven for 15-18 minutes or until done. And Ooo-la-la! 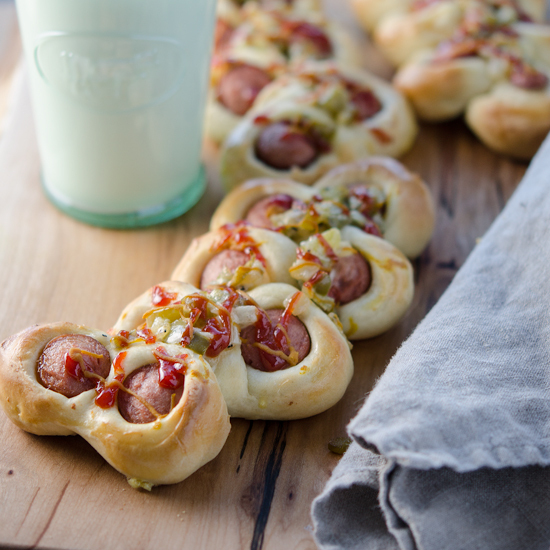 Your fancy schmancy pig in a blanket is ready to dive into your mouth. My kids devoured these little pigs after they came home from playing hard in the snow outside. They called it “Grape Hotdogs”. They had fun pulling each segment apart to eat. 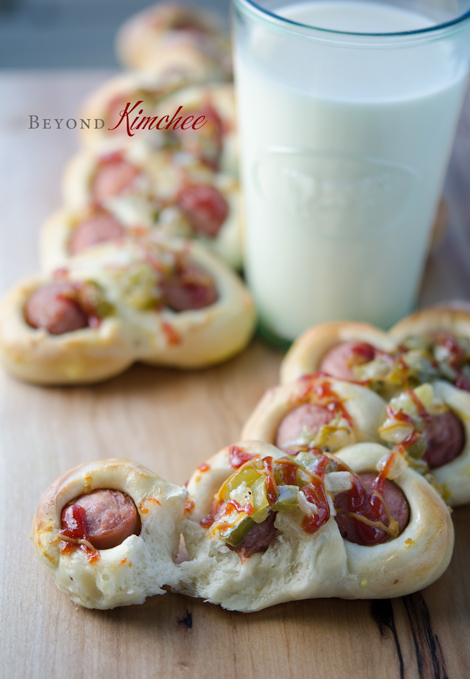 You will have fun making these and even more fun eating them. The weather outside is very cold. Stay warm, guys! Mix 1 cup of flour, yeast, sugar and salt in a mixing bowl. Another small mixing bowl, combine milk, water, butter and egg; mix well. Pour the liquids into the flour mixture and stir with wooden spoon. Add the remaining flour the mixture and mix everything well. You might need to add a little more flour if the mixture seems too wet. 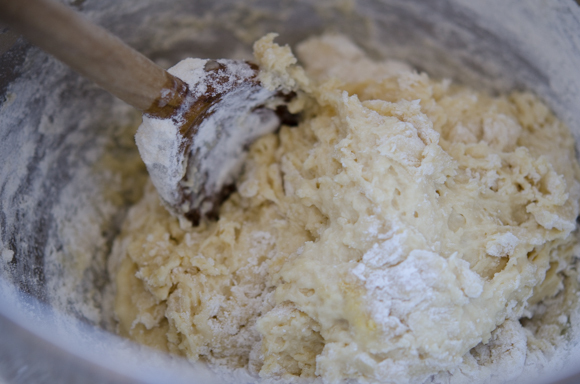 Turn the mixture over the floured board and knead for 5-8 minutes or use electric mixer with a dough hook and knead. 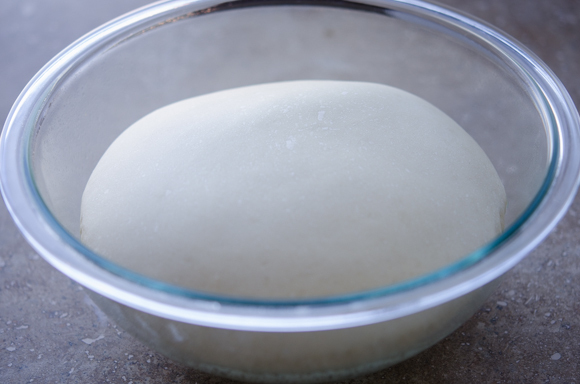 Pull the dough into a ball shape and place in a greased bowl, cover and let it rise in a warm place until they are doubled in volume, about 45-60 minutes. Deflated the dough and knead 1 more minute, then divide the dough into 8 pieces. 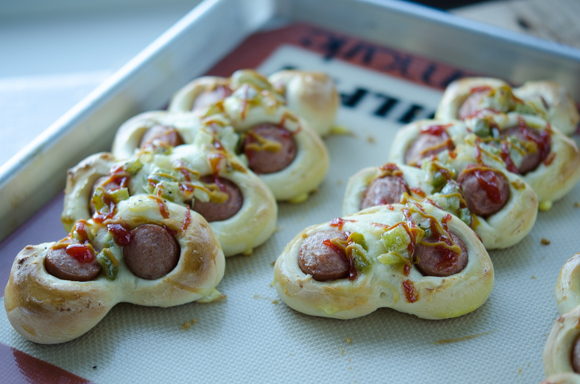 Roll each piece of the dough into long oval shape just enough to cover a hotdog. 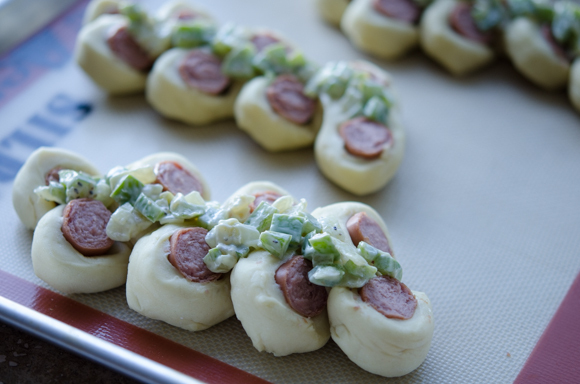 Wrap each hotdog with the rolled out dough pinching the seam to seal entirely. 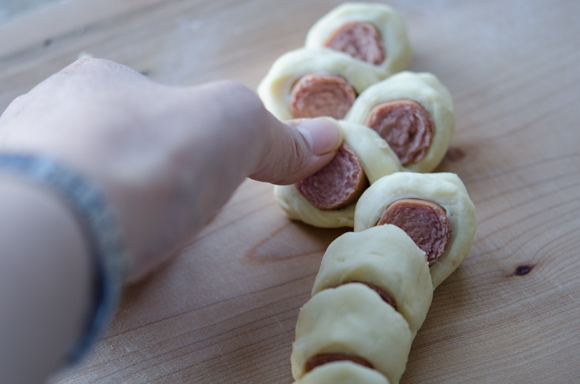 Using a scissor, give 8 slits on along the each dough but leave the bottom of the dough intact (make sure you cut the hotdog part all the way down). Push each segment of the dog into the opposite direction to spread out and press down gently. Transfer the dough onto a baking sheet lined with parchment paper or baking liner. 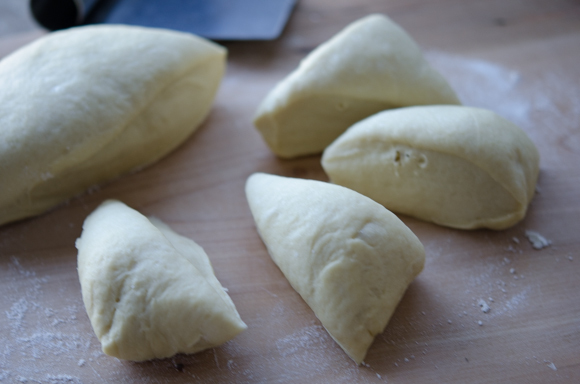 Brush the dough with egg wash and let them rest. 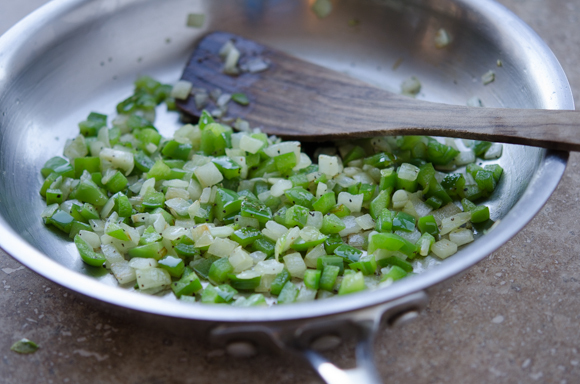 Meanwhile, saute onion and pepper in oil until soft, seasoning with a pinch salt and pepper. Remove from heat, add mayonnaise to them and mix well. Spread 1 tablespoonful of the onion mixture over the each dough. Drizzle with some ketchup and mustard. Bake them for 15-18 minutes or until done. 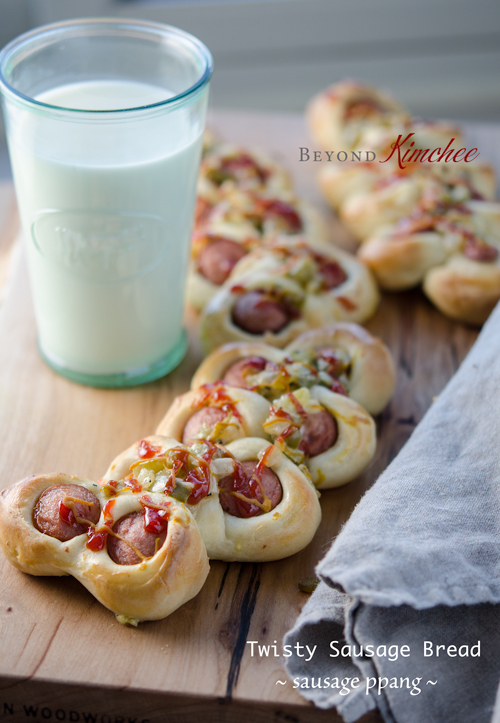 I don't care for hotdogs, but this recipe makes me want to rush out and by some! It's so cute! I used to love Pigs in a Blanket when I was a kid! Haven't had one in years. Your version is much more elegant - really creative. Fun recipe - thanks. looks so cute! need to definitely try this. I miss my Korean bakeries in LA! Oh! My kids would love me (and you) for making these at home. Thanks for the idea and step-by-step guide. I especially love the dough rising images. Always so satisfying to see that happen! Pure genius! I cannot wait to try this. Wow, I'm so inspired by you taking on the challenge to recreate these! They totally look like what I see at 뚜레쥬르 or at 파리바게트 here in Korea. I know I will really miss the yummy bakery items here if/when I leave Korea; I should take good notes so I can try recreating my favorites later, just like you are doing. 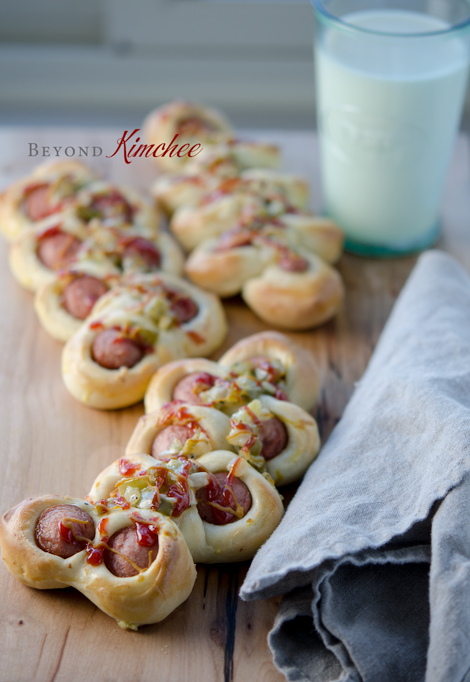 Thanks for sharing yet another fun recipe! Thanks Erica. 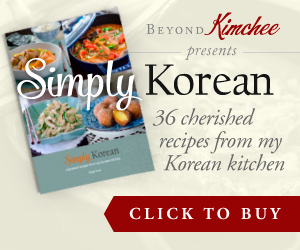 This will taste similar to those you buy at the Korean bakeries. I hope you are having a great time in Korea. This rocks! I'm loving the "relish" on top with the ketchup and mustard. Brilliant! All kids will love this. Its a feast for the eyes as well as the taste buds. Hi Shi What a sweet sister you are! I wish my older sister had done anything good for me. LOL! 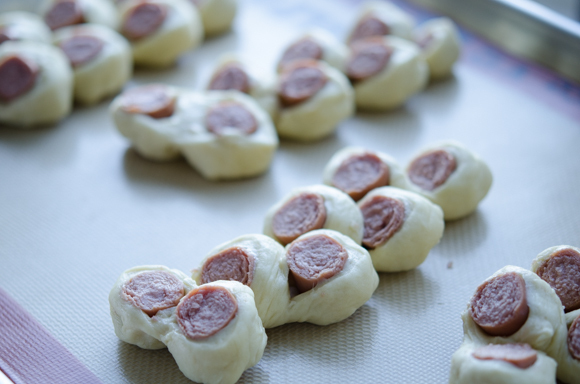 Yes, you can make the dough ahead of time and assemble with the sausages. Keep them in the fridge overnight and bake in the morning. 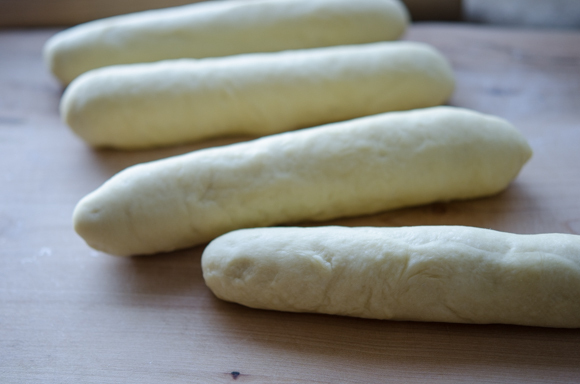 The dough will rise very slowly in the fridge and they can be ready to bake in the morning. Just take them out of the fridge when you preheat the oven. Have fun making them!